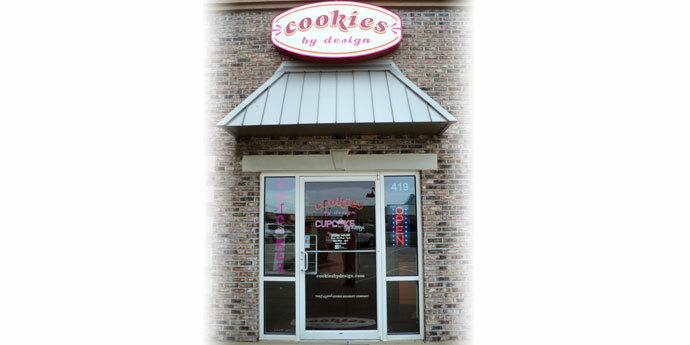 For almost 30 years in the Evansville, IN area Cookies by Design has been helping customers receive unique and beautiful decorated cookie arrangements. 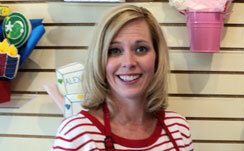 We offer an extensive gourmet cookie selection, delicious gourmet cupcakes as well as other specialty gifts. We handle individual and corporate gift giving with custom cookie bouquets and gift baskets for any occasion. Our cookie experts are here to help craft the perfect unique gift for your celebration. Each of our signature sugar cookies is freshly baked and hand-decorated right in our bakery and they can be customized with a name, special message, company logo, or even a special photo. 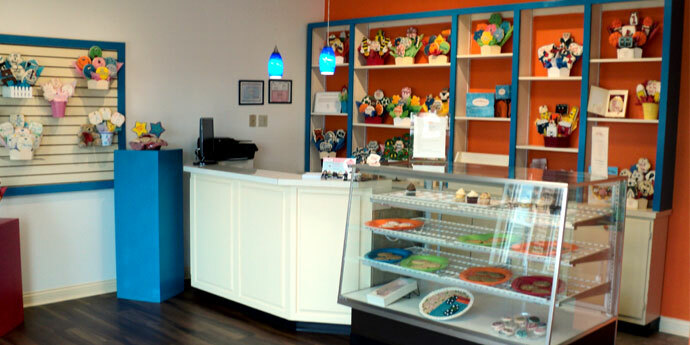 Stop in our bakery in Evansville, IN located on the east side of Evansville at 419 Metro Avenue to check out our show room of gifts and treats. We offer fresh baked gourmet cookies, decorated cookie favors, and gourmet cupcakes in our bakery case daily and we have several bouquets, cookie baskets, and cookie trays on display to help you make your gift special. You can order a same day cookie bouquet and leave in minutes or work with our staff to help you design a custom arrangement. We offer cookie delivery in the metro Evansville Area and can ship to all of the Louisville, KY & Bloomington, IN areas. We are happy to offer gift delivery to local hospitals and universities such as Deaconess Midtown Hospital, Deaconess Gateway Hospital, St Vincent’s Hospital – Evansville, University of Evansville and University of Southern Indiana.